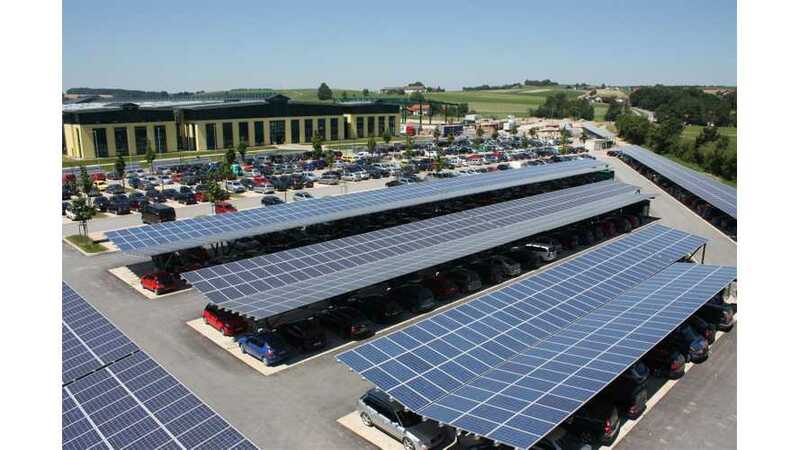 Imagine if all parking lots resembled the one you see above. Solar is the now and the future. The same is true for plug-in electric vehicles. Combine the two and you're left with this spectacular parking lot. If this is the future, then we're all in. Where is it located? We'll let you figure that one out.